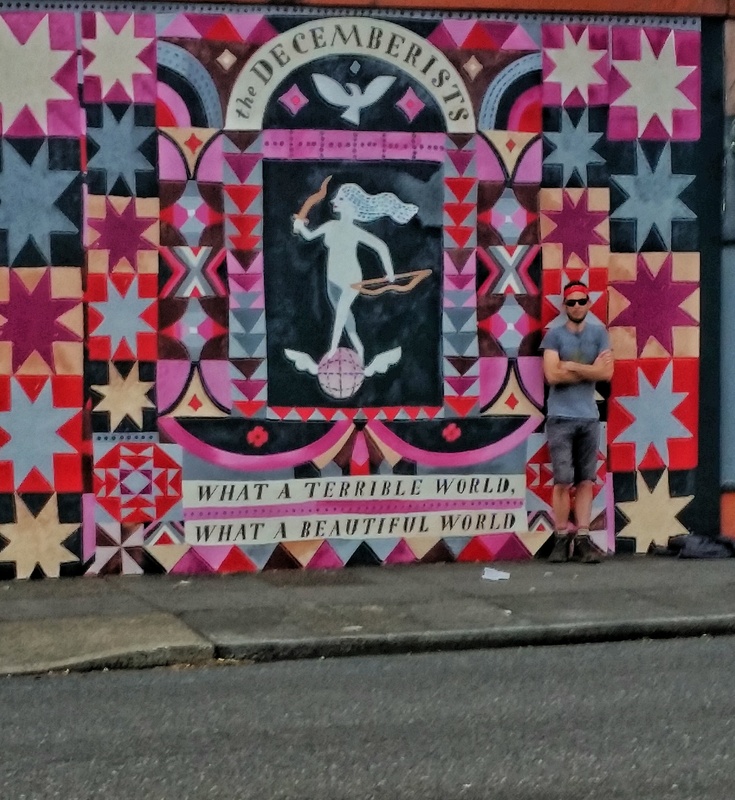 Portland, Oregon is probably our favorite city in the world. A vegetarian mecca, where even the diviest of dive bars will have a full vegan menu of bar food. Bikes rule the streets, cars will stop in the middle of the road for pedestrians, everyone recycles, there are more craft beers than there are people (might be slightly inaccurate), fantastic music scene, waterfalls, hiking trails, mountains – the list just goes on and on. 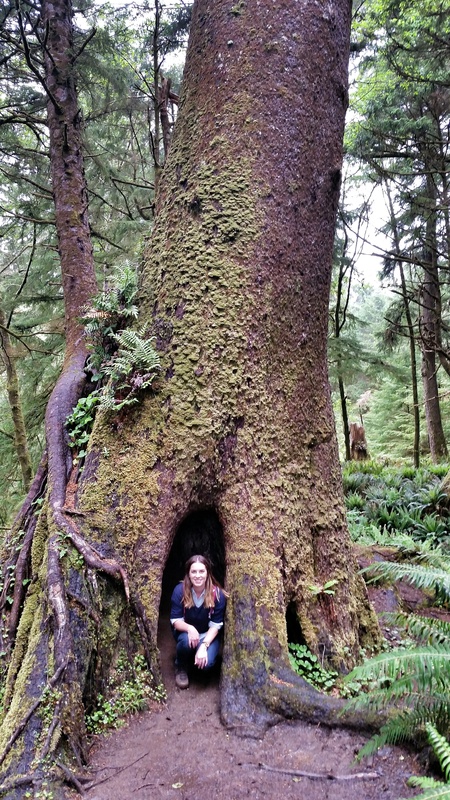 It’s no wonder we find ourselves being drawn back to this amazing city in the Pacific Northwest. We decided on a whim late one night while Christina was watching the television show Grimm, filmed in Portland, to make a last minute visit over Memorial Day weekend. A scene in the show took place at Mount Tabor, an extinct volcano in the middle of the city was all it took to rouse our nostalgia, and a rash decision to book a couple plane tickets. 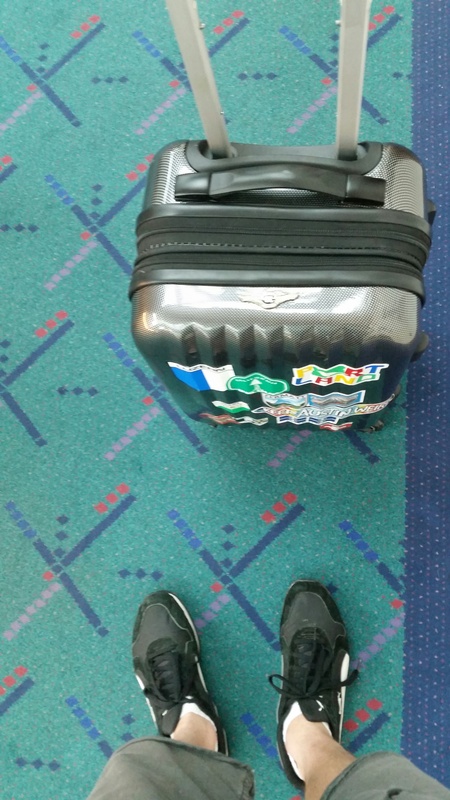 Four weeks later, we touched down at PDX, surprised to find their tacky carpet still in place. 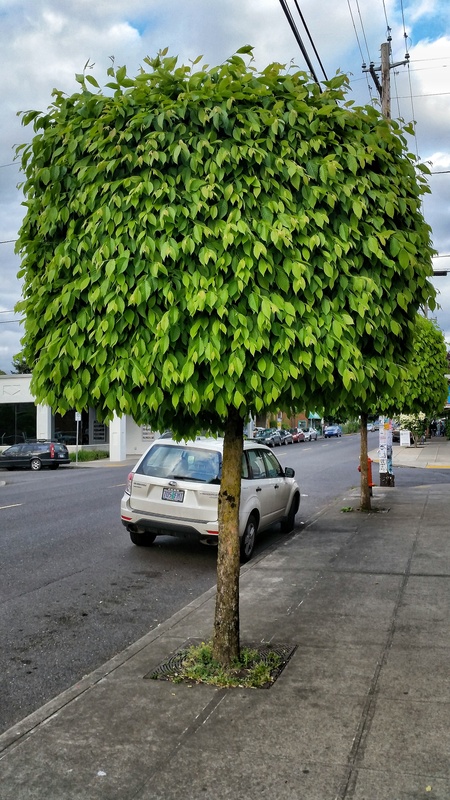 I had heard they were replacing it with something a bit more modern, inexplicably sparking a public outcry from the citizens of Portland who have a bit of an attachment to it. This was our third visit to the area, and we’ve tried to see a bit more of the area every time we make it. Our introductory trip to the city in 2012 mostly involved being awestruck with the insane amount of options we had for food in the city. Temporarily gone were the days of living in Texas and ordering from the salad section of a restaurant’s menu or modifying a dish to the point of confusing the waiter (“Why wouldn’t you want chicken on the chicken salad?”). We quickly found that not only were vegetarian restaurants a dime a dozen, but every restaurant in the city catered to the vegetarian crowd. 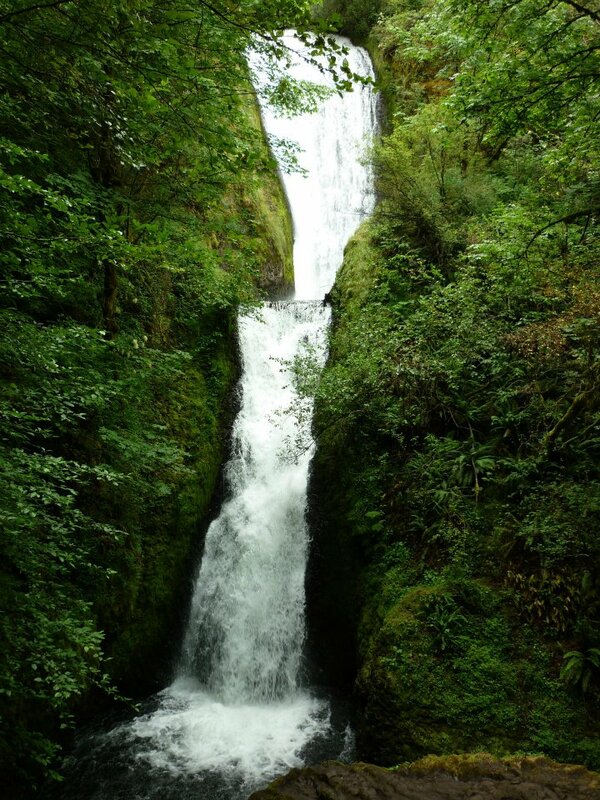 Our first trip we also hit the Columbia River Gorge with its plethora of waterfalls and dramatic views. 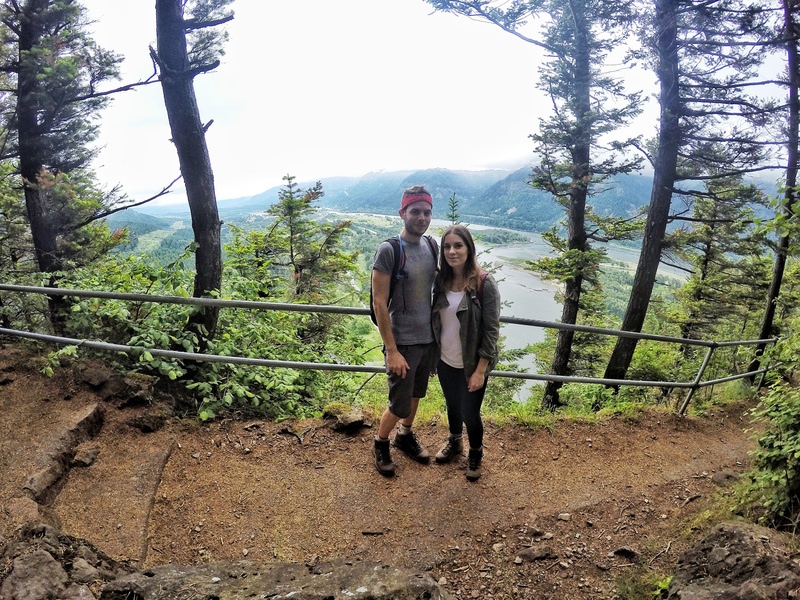 On our second trip to Portland, we decided drive up to Mount St. Helens to hike around the infamous volcano that erupted spectacularly in 1980. 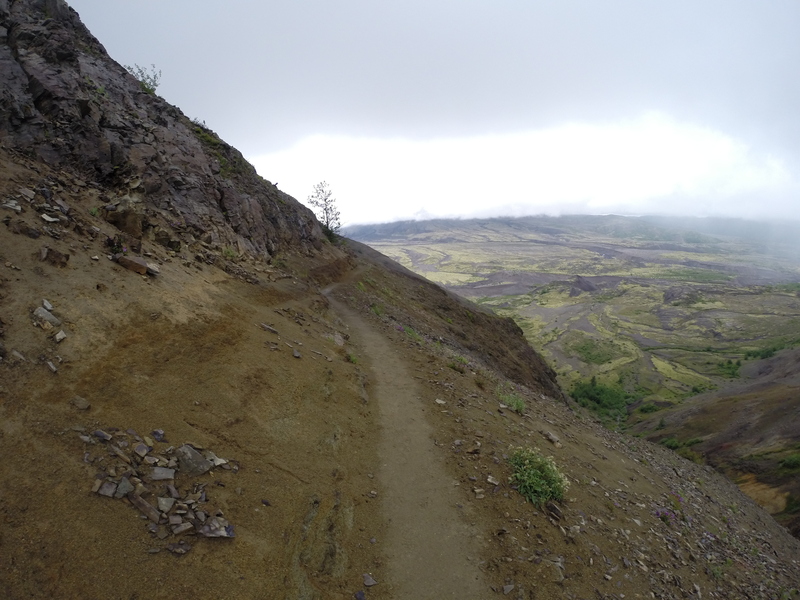 Unfortunately the cloud cover that day prevented us from seeing the open maw of the crater, but the hike had stunning views over the lava canyons and mud flows, nonetheless. 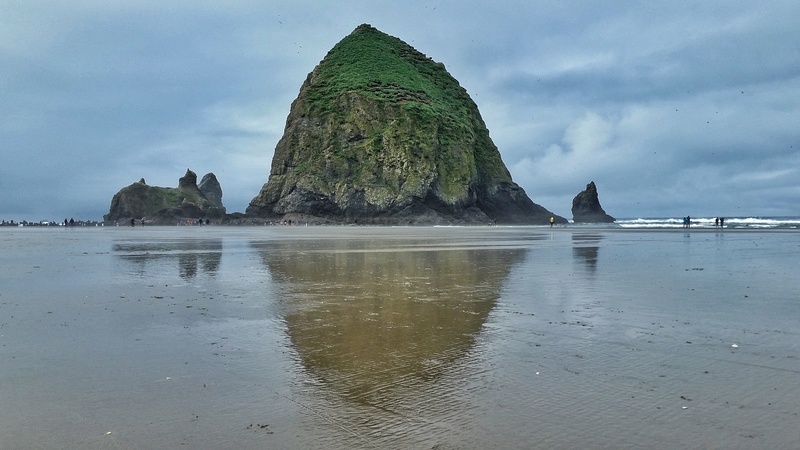 We decided for our third trip that we wanted to visit Cannon Beach, a small town on the Oregon coast, known for its looming Haystack Rock, seen in the opening scene of ‘The Goonies’. We also decided we would stay in the northeast section of the city, known as the Alberta Arts district, having stayed in the southwest area on our previous two visits. We ended up renting a house on AirBnB that turned out to be really great. 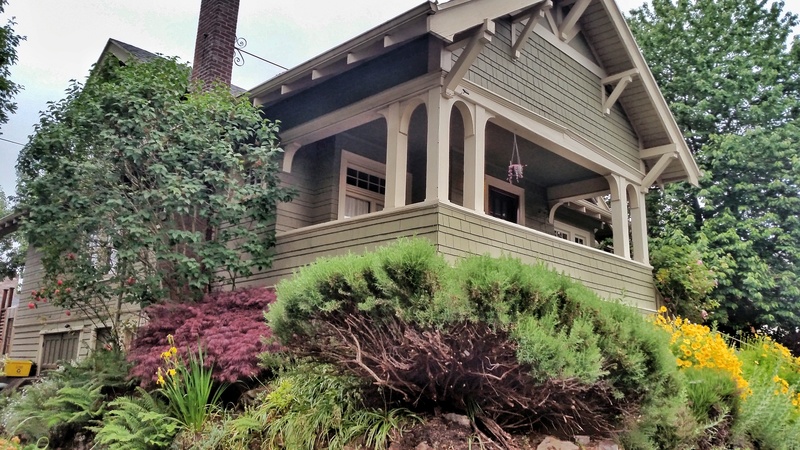 A charming craftsman style home built in the early 1900’s was just what we were looking for – it’s a style of house found pretty commonly all around the city. Great location, helpful host, and comfortable bed – we couldn’t have asked for anything better. The house had a nice porch where we enjoyed a few beers each night before settling in. 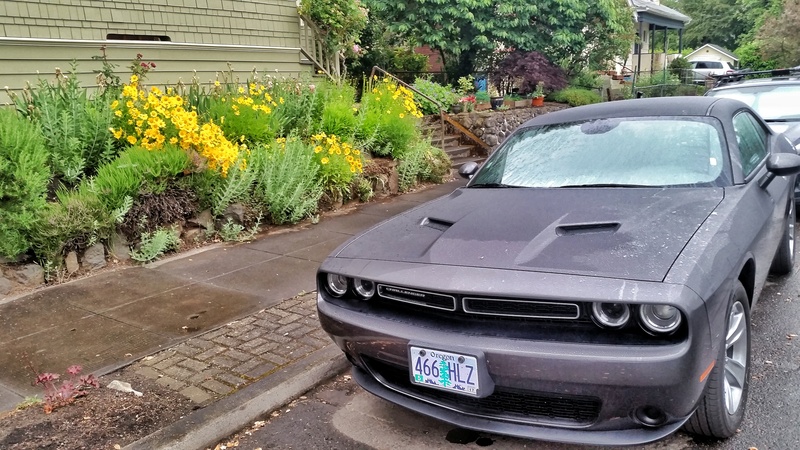 I should also throw in here that I was able to score an upgrade to the new 2015 Dodge Challenger at Enterprise upon arrival at PDX. I drive the 2014 at home, and had been itching to check out the newer model. I felt right at home behind the wheel! We dropped our stuff off at the house and headed to Alberta Street. 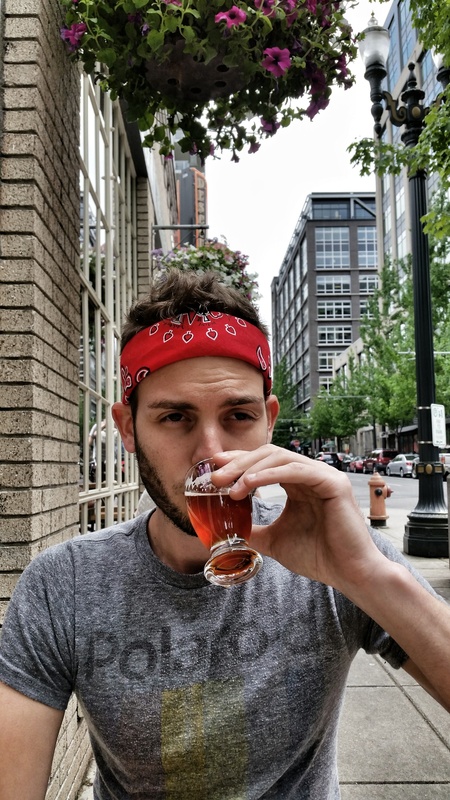 Portland is a very walkable city, and the house was just a block south of Alberta, which is a mecca for bars, restaurants, art galleries, coffee shops, and various other shopping. Alberta is enjoying a relatively recent revival of sorts, where once it was a bit run down and off the beaten path, now it is a counter-culture/bohemian community that’s becoming popular with yuppies. First stop, lunch at Grilled Cheese Grill. A no-frills food truck where you choose between the Kindergartner (with crusts) or the Pre-Kindergartner (crusts cut off). 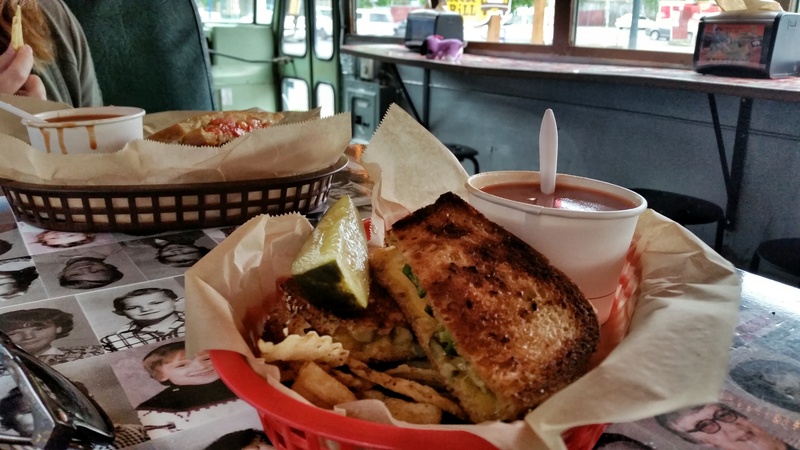 I went with a Kindergartner with grilled jalapenos, Tillamook cheddar and pickles with a side of tomato soup. 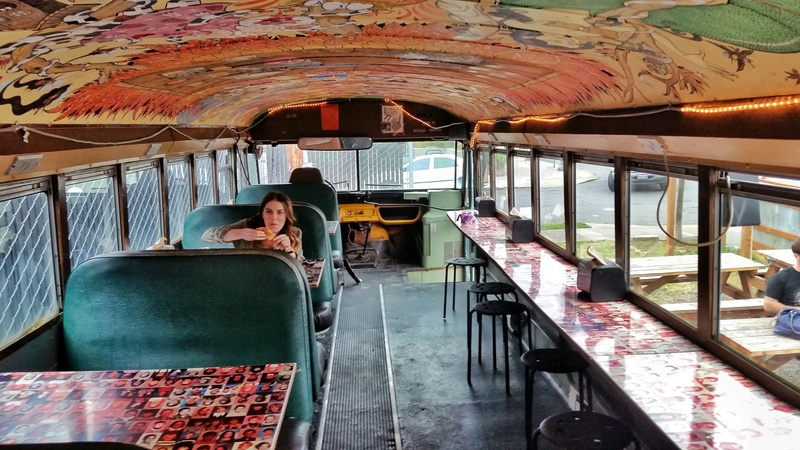 Once you pick up your order, you proceed to the converted school bus to enjoy your meal. We spent the rest of the afternoon and evening just walking around Alberta, visiting shops and bars. 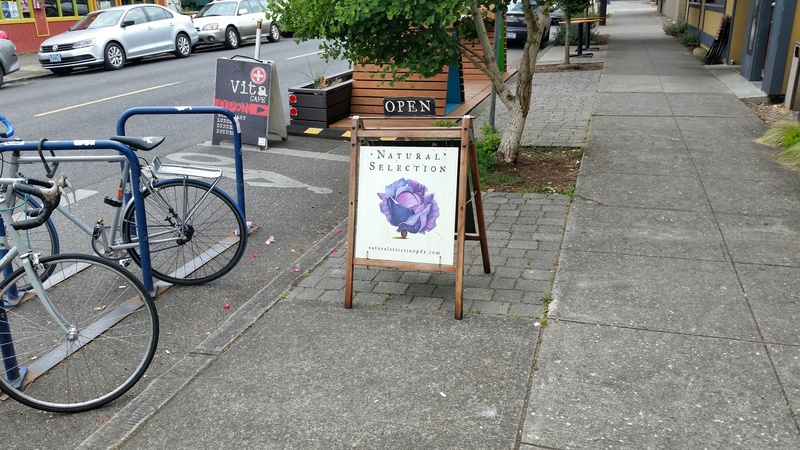 We had reservations at a restaurant called Natural Selection, an all vegan restaurant serving a prix fixe four course meal. For each course you picked from 2 options: column A or column B. With Christina and I having basically complete opposite tastes, of course I chose all from column A, and she from B. Day two was highly dependent on the weather. 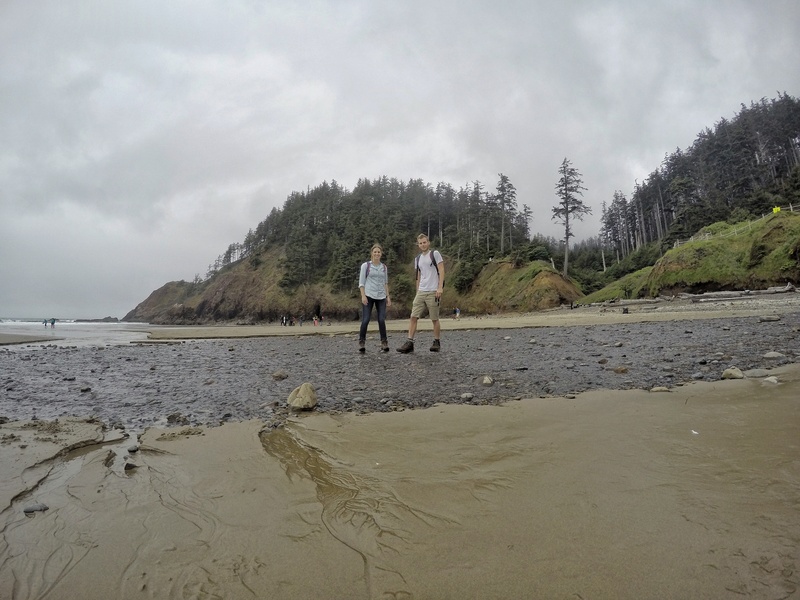 Whichever day had the lowest chance of rain, we decided we would use for our journey to Cannon Beach. Looking at the forecast we decided to do it today. 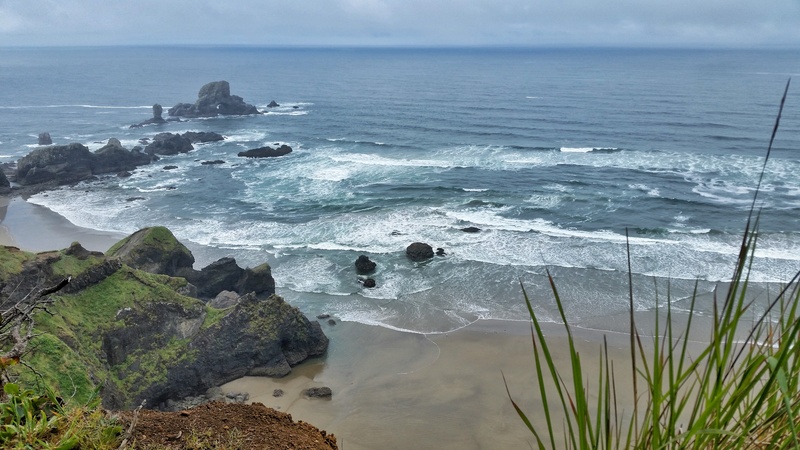 The plan was to first visit Haystack Rock, then drive onward to Ecola State Park, just north of Cannon Beach to do the Ecola Point to Indian Beach hike. Before we left, we had to eat breakfast at our absolute favorite breakfast eatery in the entire effing world, Vita Cafe. 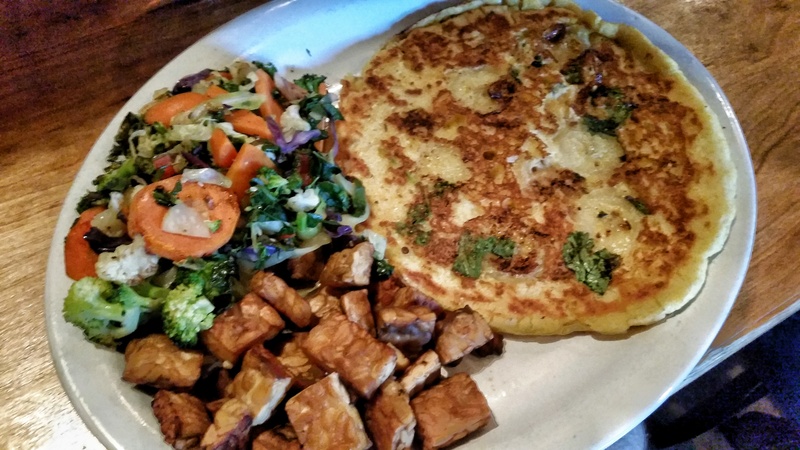 I had the Thai corncake with tempeh and sauteed veggies. It was so good. The Thai corncake never disappoints. Bananas, coconut, and cilantro: the holy triumvirate. We loaded up our CamelBaks with water, packed some snacks and hit the road. 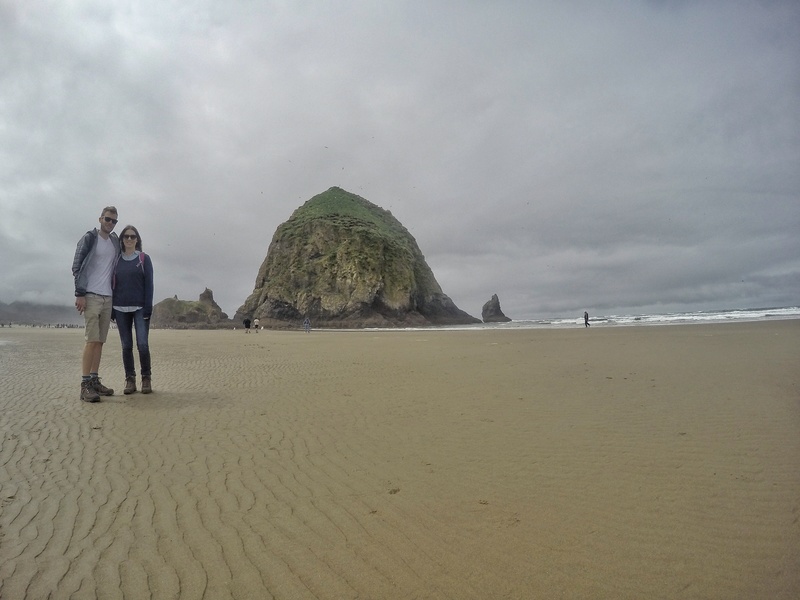 1 1/2 hours drive from Portland proper, we arrived in Cannon Beach, parked and walked along the beach toward the rock. It was a stunner for sure! 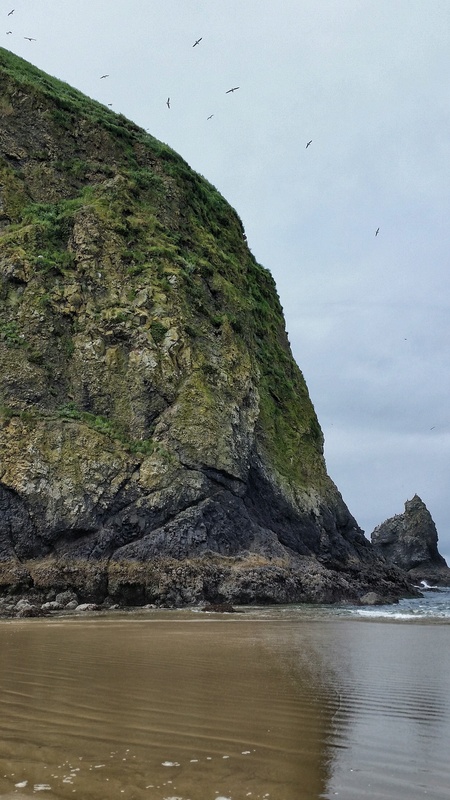 Towering at 235 feet tall, it is home to many birds including terns and puffins. We were fortunate to arrive during low tide, so we were able to walk right up to the base of the towering monolith for some pretty dramatic views. 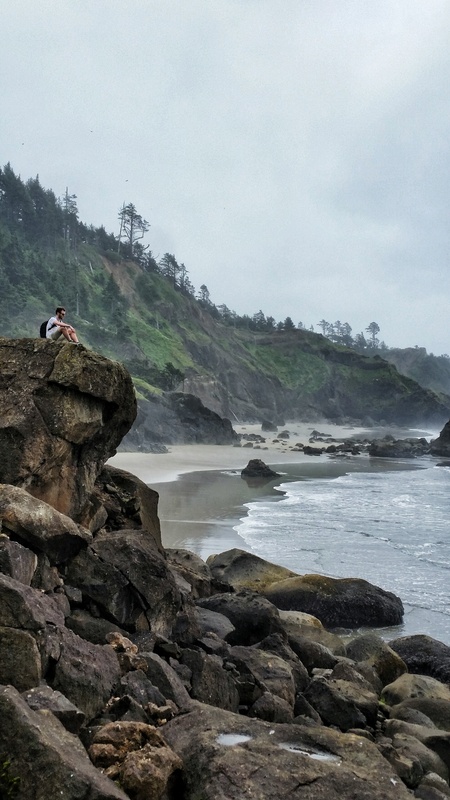 From here, we headed a couple miles up the road to Ecola State Park for a hike along the coastal cliffs, ending at stunning Indian Beach. The trailhead had some amazing views of the coast. 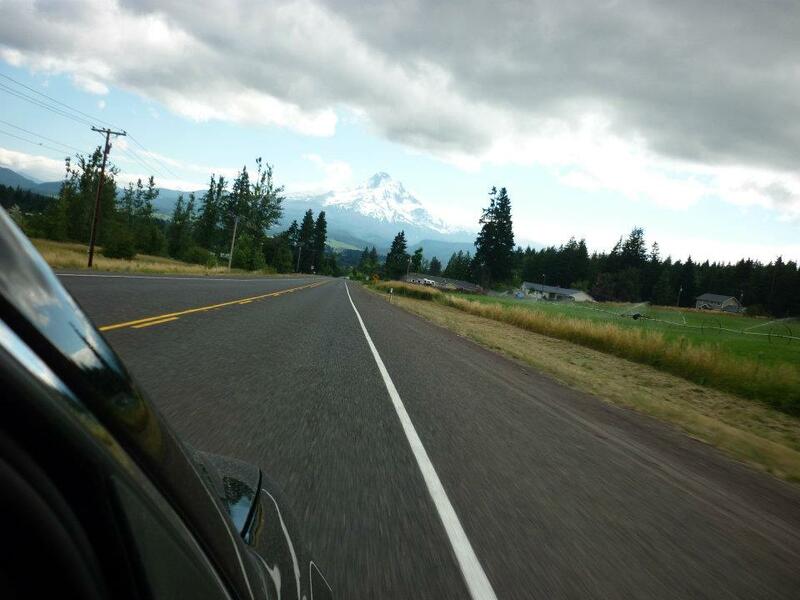 As is pretty typical for this part of the country, the weather was intermittently drizzly, cloudy, and misty. From time to time the sun would peak out from behind the clouds, only to disappear again the next minute. 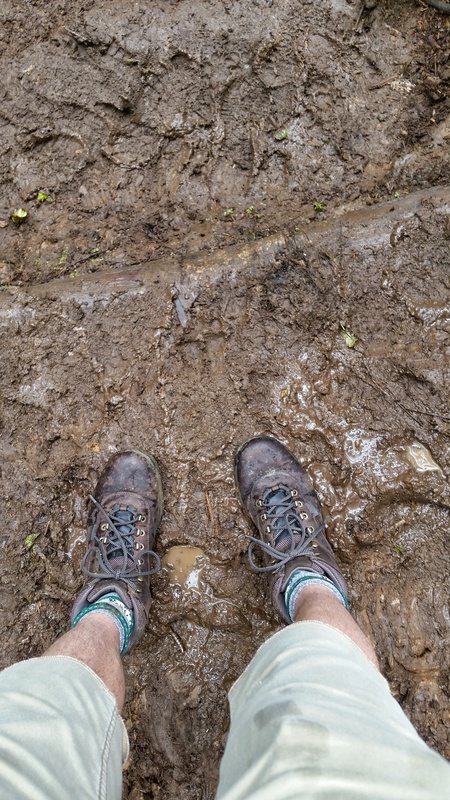 The trail was incredibly muddy and slick, but all in all it added to the fun of the trek. 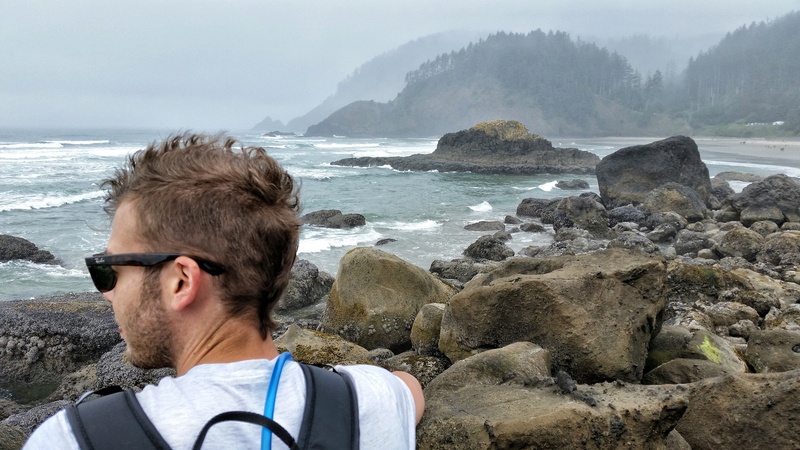 Along the way, we came across viewpoints onto the coast giving plenty of stunning views before the trail descended onto the beach. 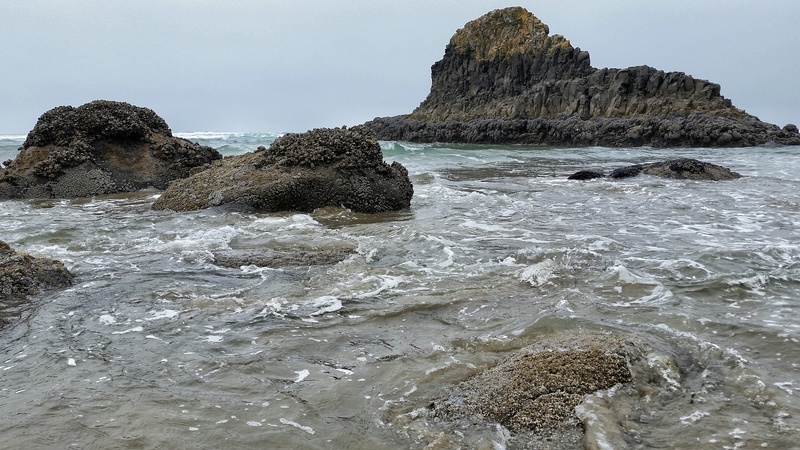 We encountered a streaming running from up on the cliffs, cutting its way through the sand and out into the Pacific. We hung out on the beach for at least an hour, climbing around the rocks and taking in the views. I even convinced Christina to climb up the cliffside with me! 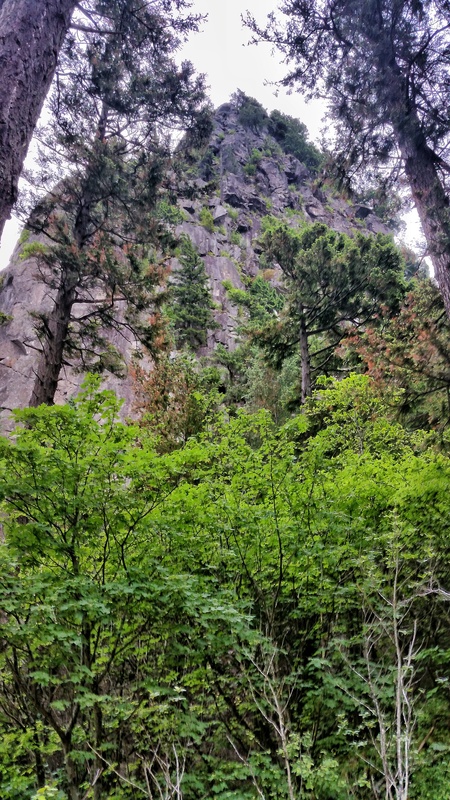 By the time we hiked back to the trailhead, the clouds were beginning to part, blue skies were revealing themselves, and the temperature warmed into the upper 70s. We hit the road back for Portland in late afternoon. On the way back I had to do a quick turnaround after noticing a roadside jerky store that advertised, aside from their alligator, buffalo, beef, bison, etc. jerky, also mentioned vegan jerky. Yes, that’s right. Vegan jerky. I cut a quick u-turn back to this rural anomaly of a roadside country store and picked up 5 bags of delicious meatless jerky. Only in Oregon. We made it back into Portland late afternoon and had dinner at our favorite pizza place, Dove Vivi, for cornmeal crust pizza. No trip to PDX is complete without Dove Vivi! The next day we woke up early, had a delicious breakfast at vegetarian restaurant A.N.D. Cafe on Burnside. 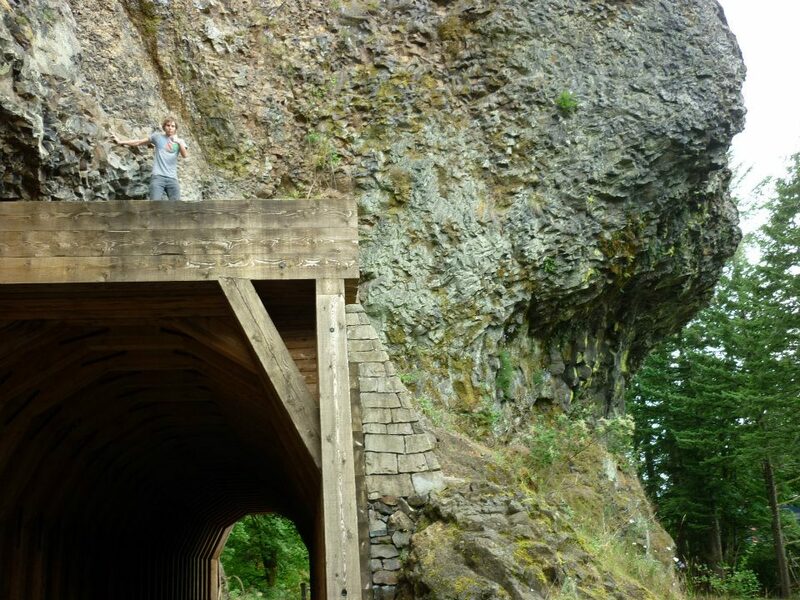 Loaded up on the carbs and proteins for our chosen hike of the day, Beacon Rock, in southern Washington. 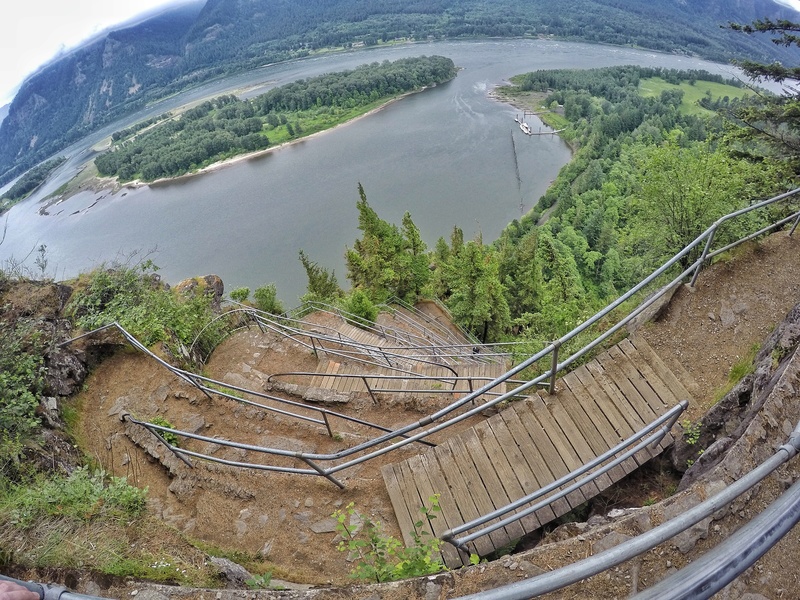 Beacon rock is the weathered core of an extinct volcano. 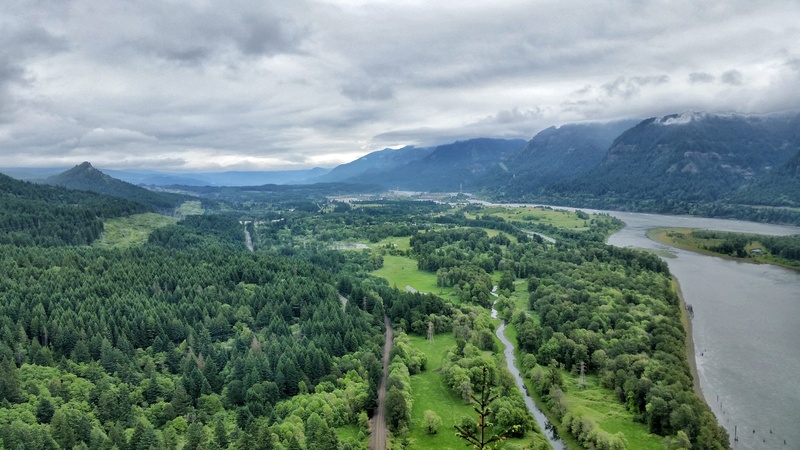 It looms at 850 feet, overlooking the stunning Columbia River Gorge, that separates Oregon from Washington. 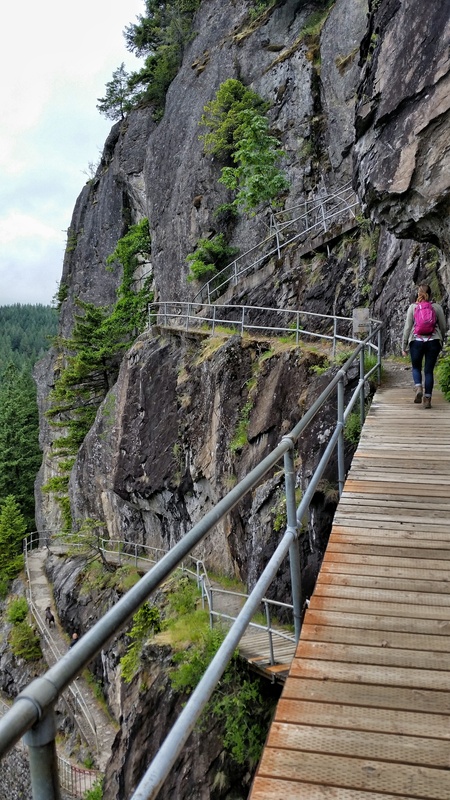 The trail is cut into the side of the rock with lots of switchbacks and a few perilous wooden bridges over the abyss. We were actually surprised at how easy and quick this one was – had a great payoff at the apex with sweeping views over the gorge. There was a large family at the very small summit that decided to spread out and have their picnic, taking up a lot of space. Christina said I was just being complain-y, but come on – have your picnic at a lower spot or something! I’m sure they were nice people. The whole trail up and back took about 2 hours, which gave us plenty of time to go back to Portland for lunch and walk around the Pearl District, near downtown. Lunch at vegetarian bar/restaurant The Bye and Bye on Alberta Street, followed by a quick stop at Powell’s City of Books (The largest book store in the United States), then onto Ground Kontrol, a vintage video game arcade we discovered on our last trip to Portland. I brought plenty of quarters along for pinball, PacMan, Mortal Kombat, SmashTV, Marble Madness, 1941, and Joust. 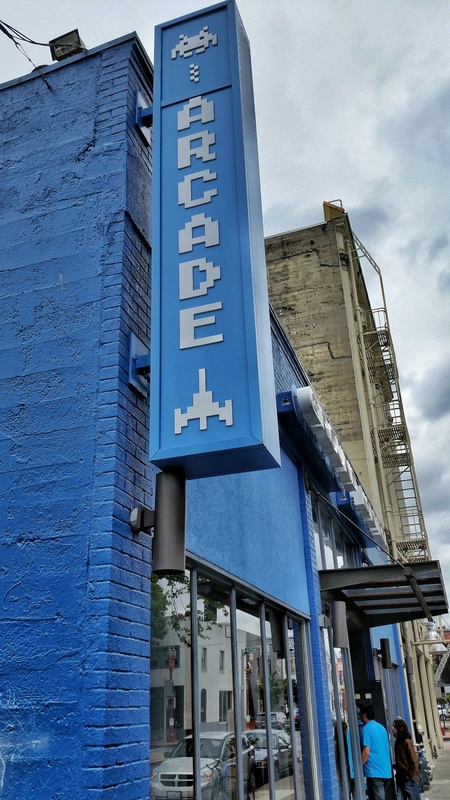 They serve alcohol here to go along with your nostalgic gaming pleasures as well! ers here. Our dinner that night was at a fantastic little Ethiopean restaurant on Alberta called Gojo. 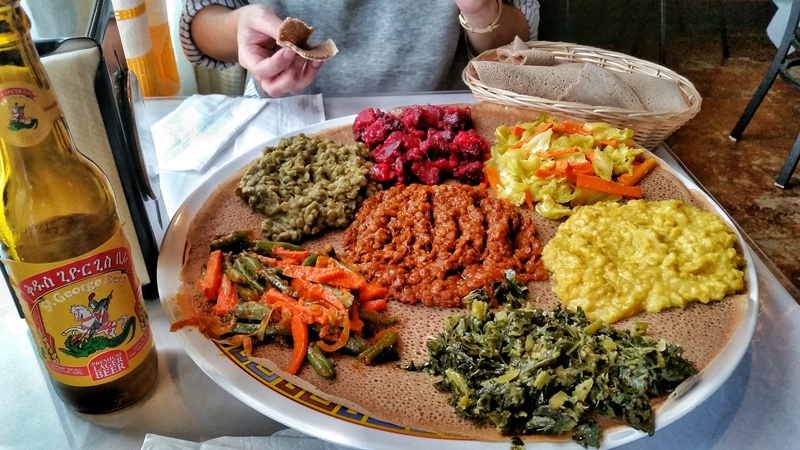 If you’ve never had Ethiopean food, you’re totally missing out! You don’t eat with utensils, but instead you get this thin, tangy bread, almost like a thing pancake that you use to grasp the food with. I think it might have been my favorite meal of the trip. 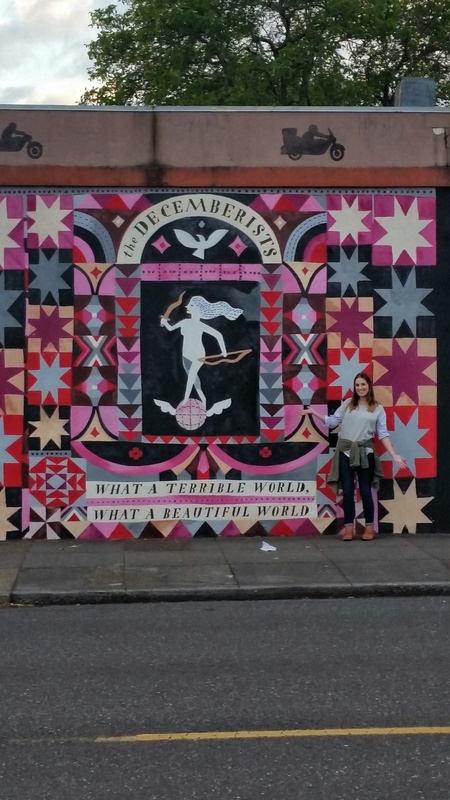 Painted on a brick wall right next to the restaurant was the album cover for the Decemberists album: What a Terrible World, What a Beautiful World. One of our favorite bands, so we had to do the obligatory poses in front of it. We departed the following afternoon after another fulfilling visit to our favorite city, a place we consider to be our adopted home. Until next time, Portland! Nice blog! 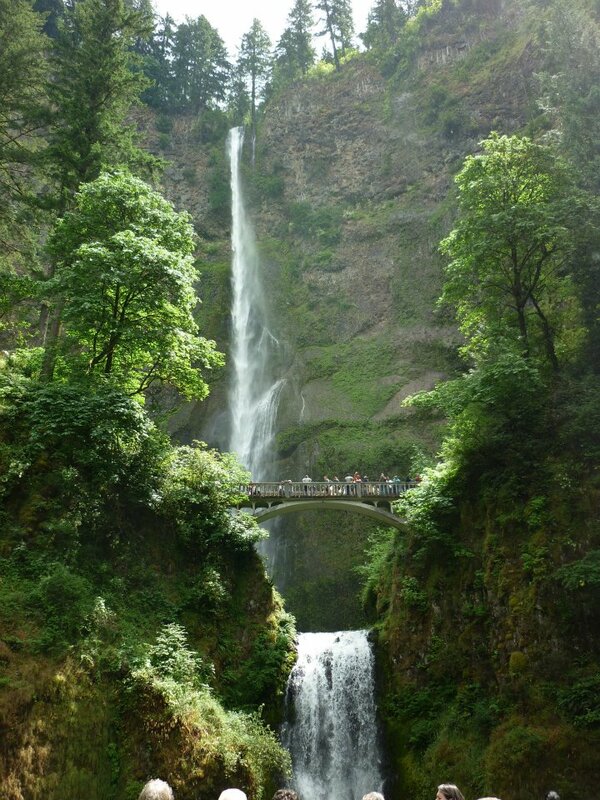 Portland is one of my favorite US destinations and reminds me of Austin (I live in H-town too). The old Hwy Road which provides access to all of the waterfalls along the way (was it a dozen waterfalls), and each waterfall was unique in it’s own way. Did you ever venture out to the “Fruit Loop” road? Definitely love the city and it’s vibe/scene. Appreciate the info as there’s so much I didn’t know about the city. Definitely plan to go back soon! Thanks for the info! No, I’ve never heard of the Fruit Loop road, I’ll have to look into that, thanks for the heads up. We try to make it back there once a year, and I’m always looking for new stuff to do each time we go.